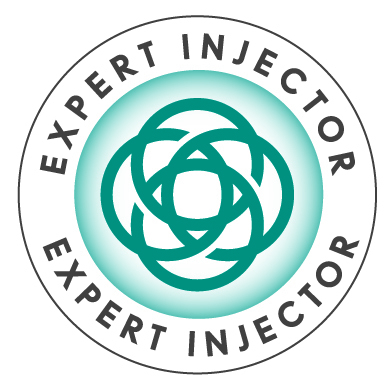 Dr. Yarinsky participates in www.expertinjector.org, a group of highly skilled and trained plastic surgeons who specialize in administering facial fillers and BOTOX® Cosmetic. This combination of treatments results in a “liquid facelift.” Each physician member of Expertinjector.org is dedicated to providing you with an exceptional level of quality service and care to achieve the best possible results with your facial and lip filler and BOTOX® Cosmetic treatments all done in a safe environment using FDA –cleared injectables purchased directly from the manufacturers. Dr. Yarinsky personally performs all treatments administered. We now offer “Pain Free Injectables” with “laughing gas”. Contact our office and speak with our staff for the details. 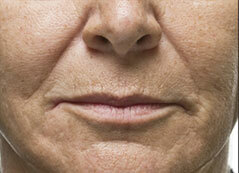 Goal: to fill facial lines and folds to turn back the “aging clock” by minimizing the signs of aging. A more youthful face is rounder and fuller. Aging involves more than just the effect of gravity. 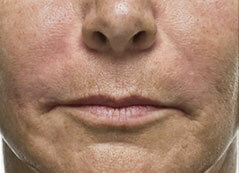 Loss of soft tissue, fat and muscle and reduction of facial bone fullness leads to a “deflated” appearance. Restoring volume to the folds, tear troughs, cheeks, corners of the mouth and marionette lines has helped many men and women we see to look 5, 10 or even 15 years younger – without surgery! Please contact Dr. Steven Yarinsky to schedule a consultation for facial line fillers. We will be happy to answer your questions. 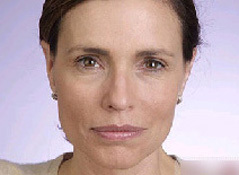 Radiesse® is a calcium based filler which is safe and effective for performing “liquid facelifts.” Juvéderm® Injectable Gel and Restylane® are hyaluronic acid products that provide less “oomph” or structural support than Radiesse®, but may be useful to fill early signs of aging and for the lips, where a softer result is desired. These hyaluronic acid fillers may last a year before repeat treatment is needed. 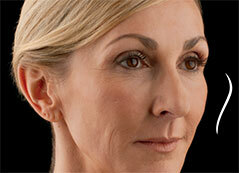 Radiesse® can last 18 months or more before touch up or retreatment is desired. Another type of injectable filler we offer is called Belotero Balance®. Like Juvéderm®, this treatment is also hyaluronic acid based. Belotero Balance® can be very useful for reducing signs of fine lines and wrinkles, particularly around the eyes (crow’s feet lines) and the fine lip lines. It can also be utilized as a lip augmentation treatment. 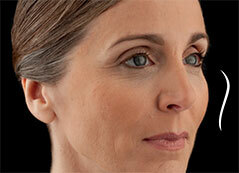 Belotero Balance® lasts about 6-9 months before repeat treatment is needed to maintain the results. 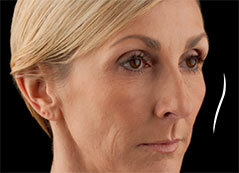 JUVÉDERM® VOLUMA™ XC is the first and only FDA-approved filler for the cheek area to correct age-related volume loss. With facial aging, youthful fullness in the cheeks diminishes due to loss of bone, muscle and fat and a “drawn” or “gaunt” appearance develops. JUVÉDERM® VOLUMA™ XC corrects cheek volume loss as an injectable gel made from hyaluronic acid (HA) which is a substance found naturally in skin. Instant results are seen that last up to 2 years before repeat treatment may be desired to maintain the results. This is a nonsurgical treatment that provides a smooth, natural-looking enhanced cheek shape providing you with a more youthful rejuvenated appearance. Dr. Yarinsky is one of the only physicians in the Capital District region certified to use JUVÉDERM® VOLUMA™ XC by Allergan, the manufacturer. JUVÉDERM® VOLLURE™ XC has been specifically formulated and FDA-approved to reduce signs of moderate to severe facial folds and wrinkles. The unique molecular structure of this hyaluronic acid-based filler makes it especially effective for treating the creases that extend from the sides of the nose down to the mouth called nasolabial folds. VYCROSS® Technology developed by Allergan, the maker of JUVÉDERM®, enables the *JUVÉDERM® VOLLURE™ XC gel to provide volumizing results that can last up to 18 months or more. In clinical trials, patients who had their nasolabial folds treated with JUVÉDERM® VOLLURE™ XC reported high rates of satisfaction at both six and 18 months after injection. It is expected that JUVÉDERM® VOLLURE™ XC will replace JUVÉDERM® ULTRA PLUS as the solution of choice for diminishing deep facial wrinkles with lasting results. While fillers can be used alone to help you look younger, they are often combined with facial cosmetic surgery and act as the “icing on the cake” to give the best possible results. Your own body fat can also be used as an effective filler. But weight gain or loss can cause the fat cells to grow or shrink distorting the results. The specific risks and the suitability of these procedures for you can be determined only at the time of your consultation with Dr. Yarinsky. All surgical procedures have some degree of risk. Minor complications that do not affect the outcome occur occasionally. Major complications are unusual. Most people are very happy with the results but no specific result can be guaranteed.